Software-Defined Networking is a concept that proposes to disaggregate the traditional vertically integrated networking stack in order to improve network flexibility and manageability. 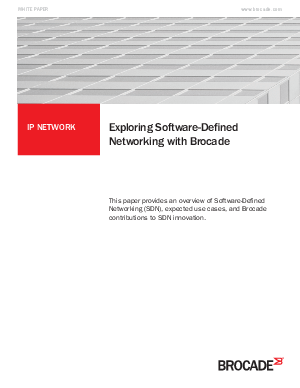 SDN enables “mass customization” of network operations to better support differentiated services. SDN is part of a group of technologies that open the data, control, and management planes of the network to participate more easily in broader orchestration frameworks through Application Programming Interfaces (APIs).